Q. How do I add simple items into LightArrow? You are here: Home / LifeTopix / Common Questions / Q. How do I add simple items into LightArrow? 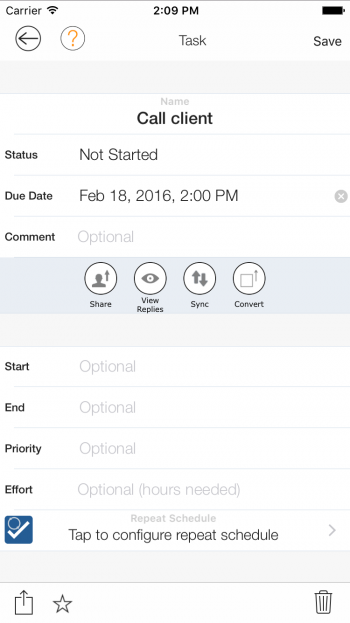 Most people add tasks, appointments, and notes in our App when they get started using LightArrow Organizer. 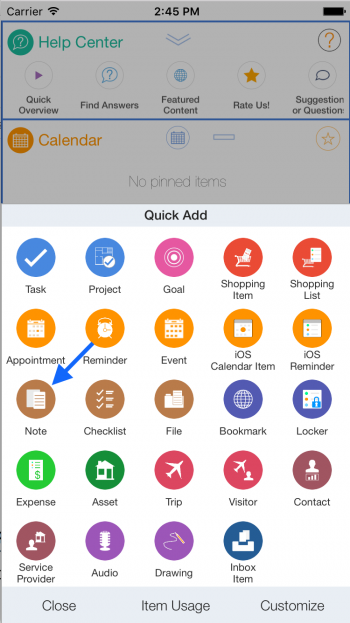 This help page will show how to add basic items such as tasks, appointments, and notes and how to manage those items. 1. 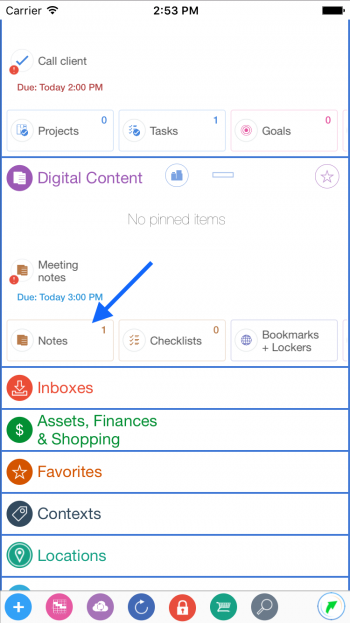 An easy way to add a task is by tapping the ‘+’ button on the toolbar in the dashboard view. Then from the “Quick Add” popup tap the “Task” button. After entering a name for the task and setting a date tap the “Save” button. 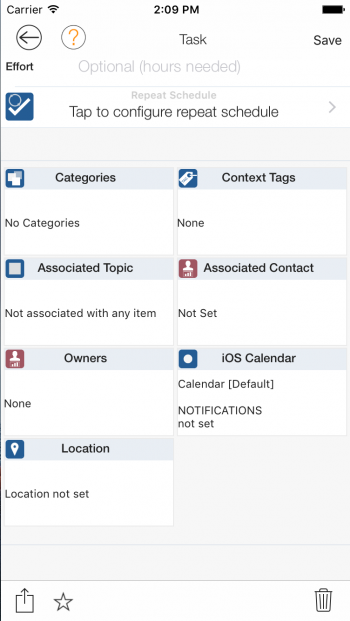 If you want to enter more details for the task such as entering the location, start and end dates, or something else you can get to those fields immediately by tapping the “Full Details” button instead of the “Save” button. If you tap the “Full Details” button you will see this “Task” view. After making changes tap the “Save” button. 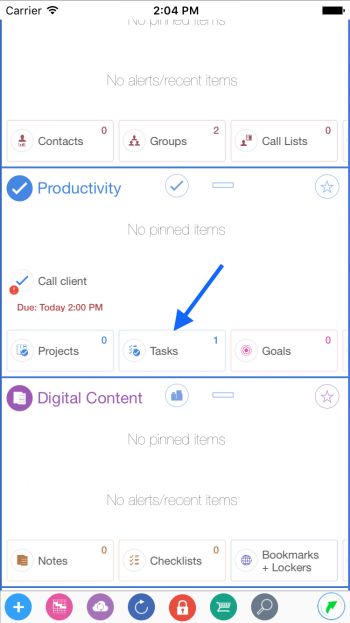 To view all the tasks you’ve entered in our App from the dashboard view scroll down until you see the “Productivity” card. 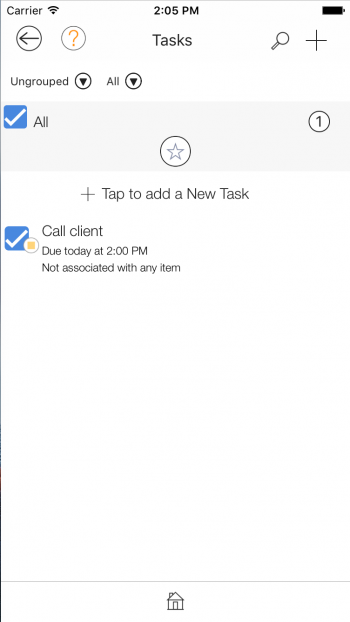 Then tap the “Tasks” tile. You’ll see a list of all the tasks you’ve created. 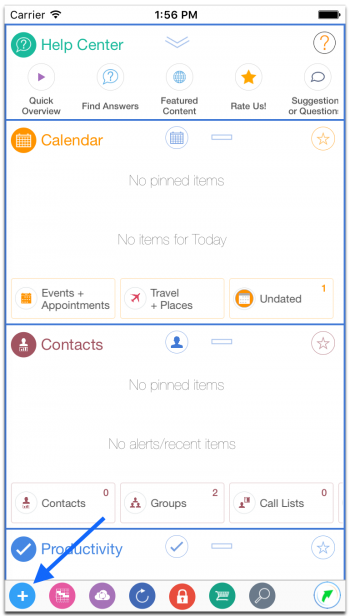 From this view you can easily manage all your tasks. 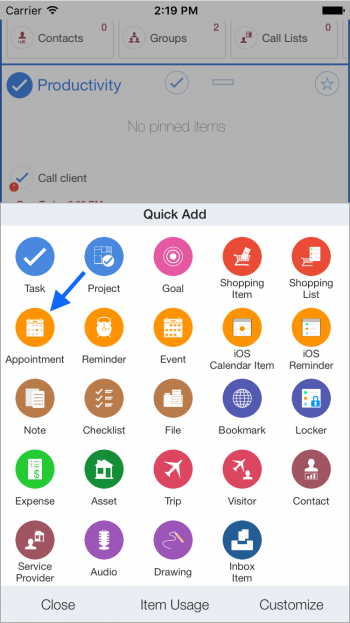 From the “Tasks” view you can also add tasks here as well by tapping one of the ‘+’ buttons. 2. 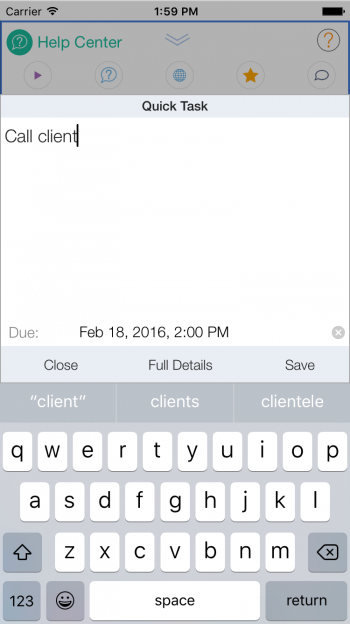 To quickly add an appointment tap the ‘+’ button on the toolbar in the dashboard view. Then from the “Quick Add” popup tap the “Appointment” button. 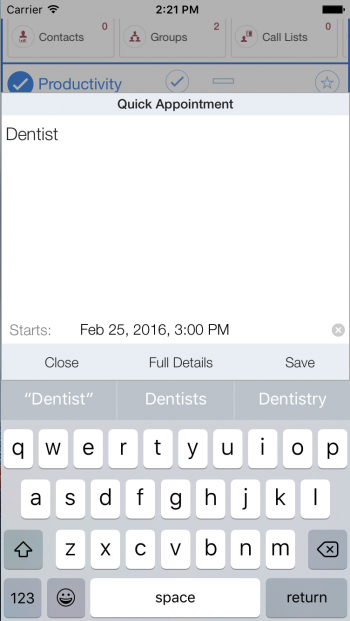 After entering a name for the appointment and setting a date tap the “Save” button. 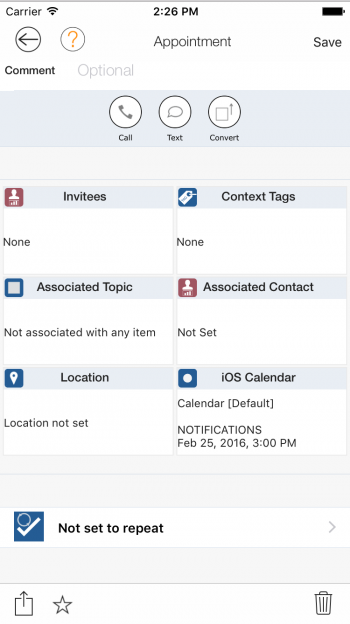 If you want to enter more details for the appointment such as entering the location, end date, or something else you can get to those fields immediately by tapping the “Full Details” button instead of the “Save” button. If you tap the “Full Details” button you will see this “Appointment” view. After making changes tap the “Save” button. 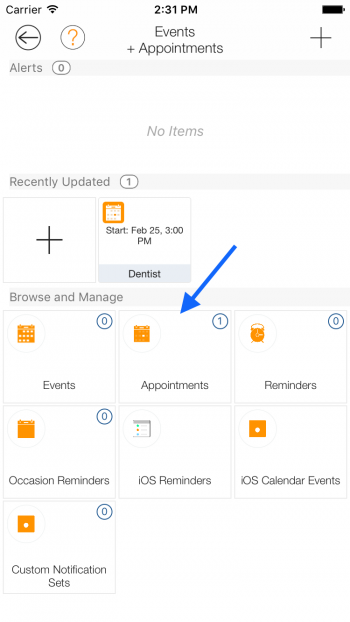 To view all the appointments you’ve created in our App from the dashboard view scroll until you see the “Calendar” card. Then tap the “Events + Appointments” tile. 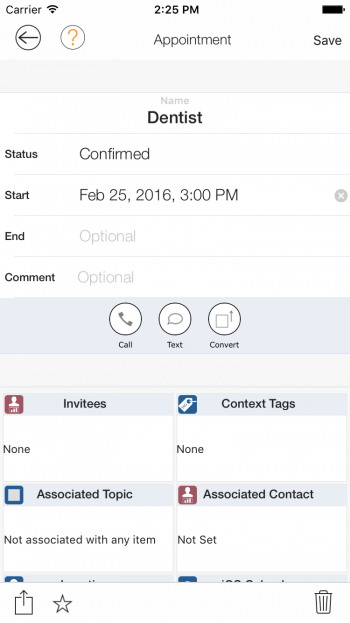 Then from the “Events + Appointments” topic view tap the “Appointments” tile, and then you’ll see a list of all the appointments you’ve created. 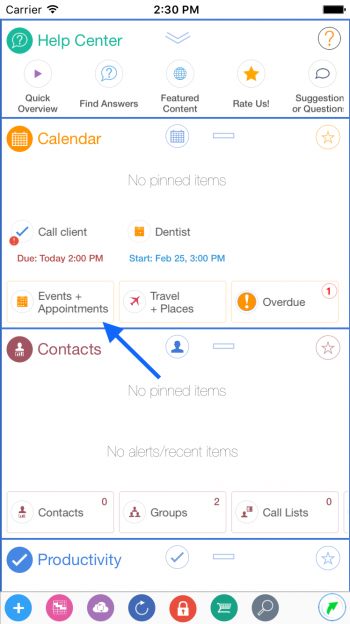 From this view you can easily manage all your appointments. 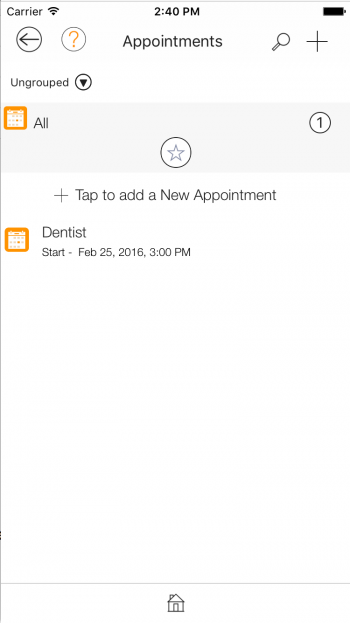 From the “Appointments” view you can also add appointments here as well by tapping one of the ‘+’ buttons. 3. An easy way to add a note is by tapping the ‘+’ button on the toolbar in the dashboard view. Then from the “Quick Add” popup tap the “Note” button. 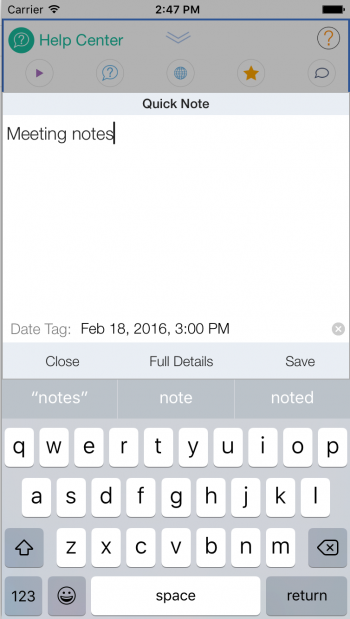 After entering a name for the note and setting a date tap the “Save” button. 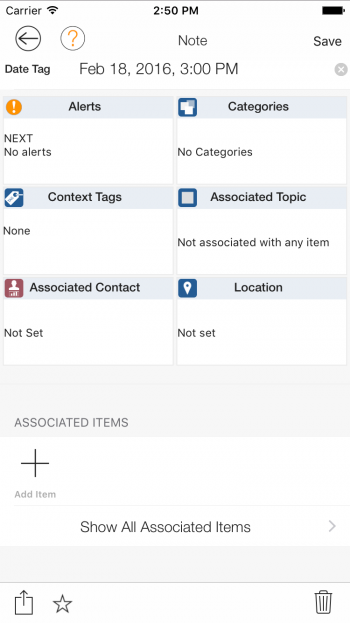 If you want to enter more details for the note such as entering the location, journal items such as photos, audio, or text you can do that by tapping the “Full Details” button instead of the “Save” button. If you tap the “Full Details” button you will see this “Note” view. After making changes tap the “Save” button. To view all the notes you’ve created in our App from the dashboard view scroll until you see the “Digital Content” card. 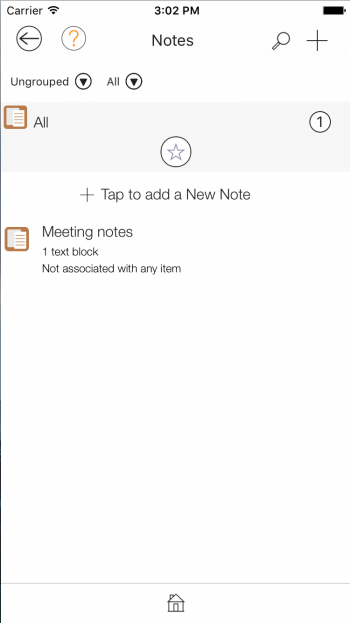 Then tap the “Notes” tile, and then you’ll see a list of all the notes you’ve created. 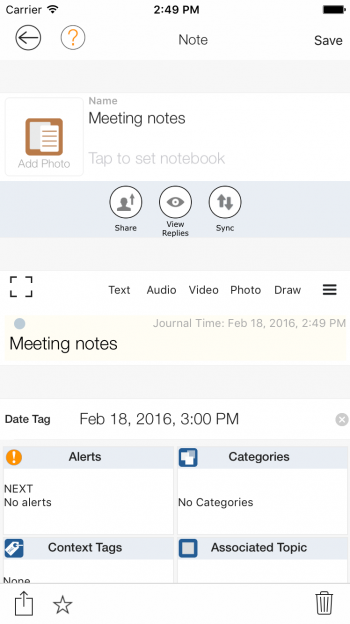 From this view you can easily manage all your notes. From the “Notes” view you can also add notes here as well by tapping one of the ‘+’ buttons.